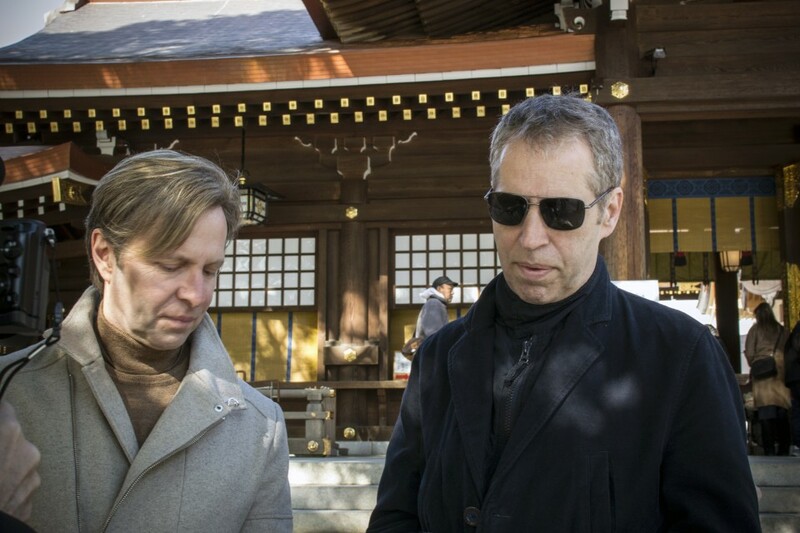 Eighties pop icons Johnny Hates Jazz recently completed a successful run of six shows in Japan as part of their tour to celebrate the 30th anniversary last year of their smash-hit 1988 debut album "Turn Back The Clock." English singer/songwriter and keyboard player Clark Datchler, who penned hits such as "Shattered Dreams" which catapulted the band to worldwide success and reached No. 2 in the United States and Japan, and American bassist, producer and engineer Mike Nocito sat down with Kyodo News for a chat before one of their shows at Billboard Live Tokyo. The band, who also played at the sister Billboard Live venue in Osaka, were thrilled to be back in Japan for the first time since 1988 and, in a wide-ranging interview, they talked temples, an upcoming new album, their run-in with a South Korean fashion designer, and, interestingly, why Johnny no longer hates jazz. Q: How does it feel to be back in Japan after such a long time? CD: It's really lovely. It's been too long. I think when we were last here it was such a different time for us and, obviously, we were a lot younger. So, I don't know about you Mike, but I am appreciating it much more this time. We're getting another level. Obviously, Tokyo has changed a lot in that period of time but my general impression is that it's a really lovely place to be. Q: Have you been out and about yet and what are you looking forward to doing here apart from gigging? CD: We went to one of the temples here (Sensoji Temple), I think it's the oldest temple in Tokyo and it was actually wonderful because we went there on the blood wolf full moon. We actually hadn't planned that. We happened to be there and there were a lot of people there obviously going to make prayers and so we lit some incense and made our own prayers. It was very emotional to be there, so probably more of that. Personally, I would love to see more of the land. I love the wild land and if I get the chance to see some of that then I would love to. Q: The gigs here in Tokyo and Osaka are to celebrate the release of your debut album "Turn Back The Clock." Do you still enjoy playing songs from that album? MN: You know what, luckily for us we were around 30 years ago and then we disappeared. For various reasons we split up as a band so we haven't had 30 years of playing these songs. So for us playing Shattered Dreams is still fresh because we have only been doing it for a few years. It's kind of good for us. Q: Has the dynamic changed for you guys since you got back together and started the new chapter with the release of the "Magnetized" album in 2013? MN: We are older and wiser. CD: I think that is the perfect analogy. So, if anything, all of the strengths that we had before are still there and yet the way we approach it with the benefit of being a bit older, I think, does bring a fresh perspective. I think in some ways we enjoy it more, you know, just coming to play at Billboard Live is something that we feel is much more precious. In the past, we did a lot of promotion and it was kind of non-stop. This time, every time we do something there is always a sense of reminding ourselves that this is a special thing. People want to come and see us and that's something we appreciate. Q: Shattered Dreams was one of the iconic songs of the 80s. How does it feel to make a song like that, a timeless classic? CD: When I wrote Shattered Dreams and we recorded it, I hadn't really thought about it standing the test of time because we grew up in eras where if you wrote a good song and it was a success it would have its own life into the future. So it was just a natural thing. We thought if it did well then it will keep going. Obviously, in the interceding years, the music business has changed and the way people listen to music and appreciate music has changed radically, so perhaps the longevity is not there in the same way that it used to be. So, that makes me appreciate it even more. That's another thing, going back to playing Shattered Dreams live, is that it is an amazing thing to see people respond so directly to that and other songs. So I feel...in a way I am a bit surprised at myself for feeling that way because, as I say, you kind of thought all that would naturally happen. But, as you see how the world has changed, it becomes even more meaningful that the song is meaningful to our audience. Q: Are you quite glad or do you feel lucky that you were around at a time when you could make a lot of money out of making records given that it doesn't seem to be so much the case with young musicians these days, unless you are Ed Sheeran or someone? MN: Certainly better than not but it has never been our motivation, money. You know, generally speaking, in the arts, never do arts for money. If you do something great, money might come but you never do it for that. People get it wrong. 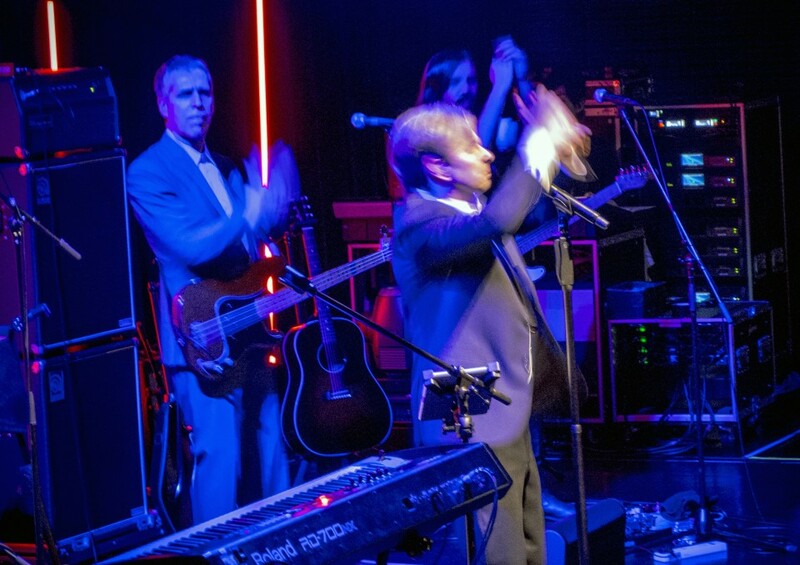 CD: There was never the celebrity culture back in the 80s and 70s and 60s like there is now so, I mean know it sounds a bit of a cliche, but we did make music because we loved doing it. And you know what, it was all we ever did and all we ever wanted to do. So, even if we hadn't been successful, we would have carried on. We would have found a way to carry on in whatever form. CD: The interesting thing also, Mike, and we've talked about this a lot, is that there really wasn't such an emphasis on being a singer. I never thought of myself as a singer, I was a songwriter who sang. Now, you find there's an awful lot of singers who like to song-write and it is a very different experience. MN: Okay but you know what, Clark, the other thing in our day there wasn't celebrity. You were a singer, a singer/songwriter in a band you weren't a celebrity. But, of course, now being the celebrity is almost the important bit. There are tonnes of people these days who are famous for being famous, not for having done anything. So, in order for them carry on being famous, they have to do something else to keep them famous. It must drive them insane. It drives me insane. Q: Turning the clock forward to the next album, what are you hoping for, what can fans expect and do you have a release date yet? CD: No we don't have a release date but it's going to be very soon, and when I say very soon it's going to be certainly in this decade. No, it's going to be early this year but I think people are going to be surprised. I don't want to say too much about it because it's kind of preempts it too much but the first single we both feel is a bit of a magic song. I think in this period of time when the world is facing the challenges that it's facing, it's going to appeal to a very broad range of people. It's a special track and the rest of the album backs that up. 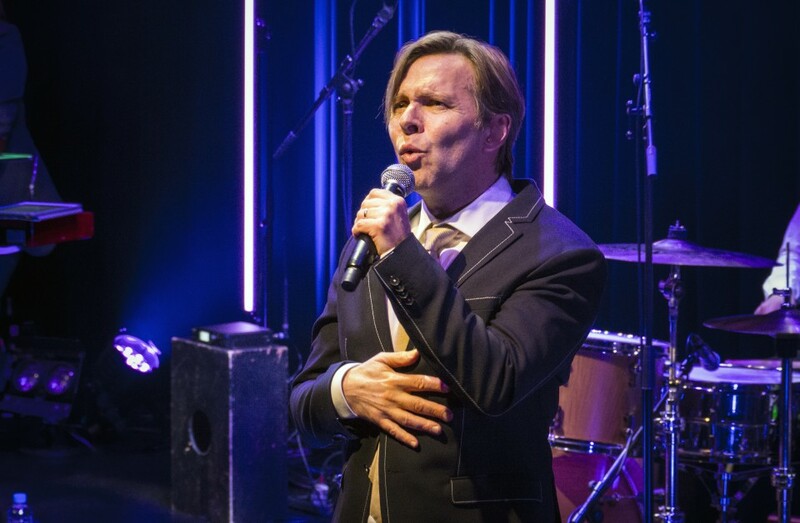 MN: We hope so, we hope that the song, the record, has a life of its own whether it is associated with Johnny Hates Jazz or not. We think it is kind of going to go where we are hoping and that people will hear it and won't even care who it is. They'll just enjoy it. Q: Researching this interview, we found that there is a popular women's fashion brand called Johnny Hates Jazz created by a South Korean designer called Choi Ji Hyung. Do you guys own the rights to that name and has that been an issue for you? MN: How long have you got? CD: We do own the rights to that name, we are aware of it, and as Mike said, we could go into some detail about that because as far as we are concerned that is entirely wrong and we have actually taken legal measures. MN: Well, we had to. Several years ago we discovered (that the brand was using the band's name) and then we looked into it and we had to do something about it. Apparently, the designer was a fan so you could take it as a compliment but then when you realize what they were trying to do then it isn't a compliment. When we heard about it we contacted them and didn't get anywhere so we called our lawyer up, big, big, big-time lawyer in New York, she's a copyright expert, and she found out that they were registering it in Paris and New York and they were registering it everywhere so, in other words, we could go and do a gig and not be able to sell any t-shirts, in theory. (In the end) we just stopped. You have to pay a ton of money to lawyers to put a stop to it and it was a waste of time and money for everyone. CD: And the thing is, she is talented and we don't want to harm her at all. It's not a personal thing. We approached them and they didn't want to talk. It's a bit of an odd one. They backed off and said we are going to change the name and went quiet for a year then bang, Johnny Hates Jazz was back as a fashion label. They were just banking on us just backing off. Q: Now, on a more light-hearted note, the final question is does Johnny still hate jazz? MN: Funny you should ask that, but about a year ago I had a coffee with Johnny (Mike's brother-in-law and the person who inspired the band's name after he yanked a jazz record off the turntable and broke it). He admitted that he had just bought a Miles Davis album, and that is absolutely true. So, I guess you could now say Johnny only moderately dislikes it. He's not breaking records over his knee anymore. He is older and wiser. Christian Bale's virtuoso turn as "Vice"